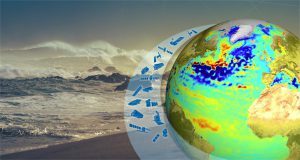 This workshop will assess the opportunities for Atlantic region focussed EO research and development, downstream activities and ICT evolution, which may be the basis for future ESA investments to address some of the key information needs of this important area. These opportunities will be framed with respect to emerging Earth science, development of novel applications, testing innovative information services and implementing required upgrades to capabilities to manage and manipulate large data volumes. The workshop is organised around invited oral presentations and discussions. Sessions are designed around dedicated topics related to the workshop’s objectives. An interactive session will be organised around selected posters.